Apscade TV Guzzler | Hourly Rates Tutorial | How to calculate your appliance hourly rate? 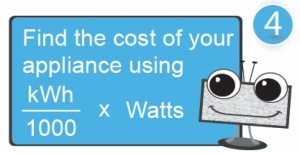 Below are the instructions for calculating the hourly rate for your appliances. You will get the best results if you have a power meter that you can plug into each appliance and obtain it's power usage (Watts). Important: Be safe around power. Make sure you obtain adequate safety training before connecting up power meter to appliances. Once you have calculated the hourly rate you can set it in TV Guzzler. 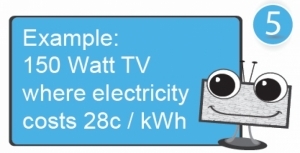 Example: If you had a 150 Watt Television and your power company charged you 28 cents per kilowatt hour, you should set the TV's hourly rate to $0.042.